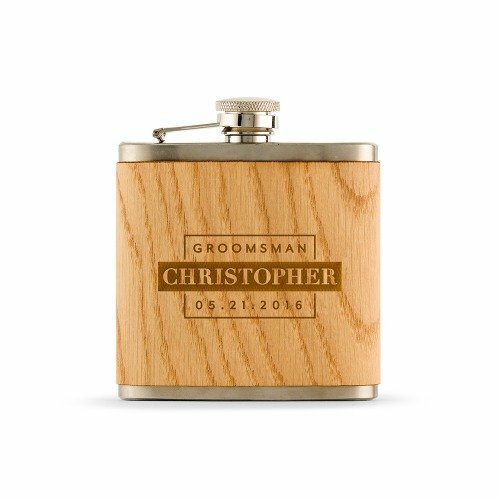 Desirable and practical, this personalized wood wrapped flask is the perfect way to thanks your groomsmen for being a part of your wedding day. 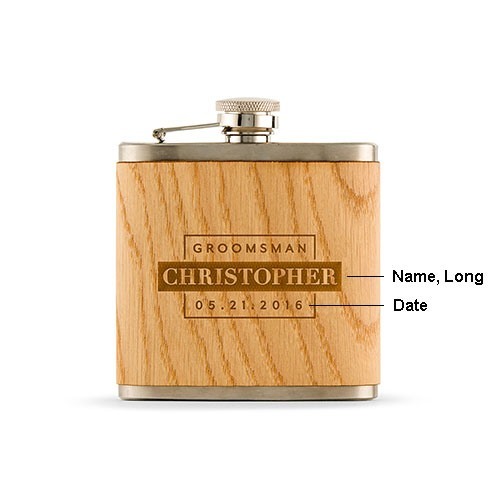 The wood and stainless steel combo create a stylish look and with three different etching options, there's a perfect design for each of your groomsmen. 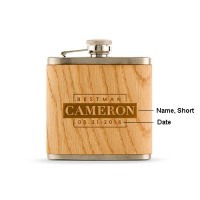 They will love keeping this handy at your wedding and for many days to come!